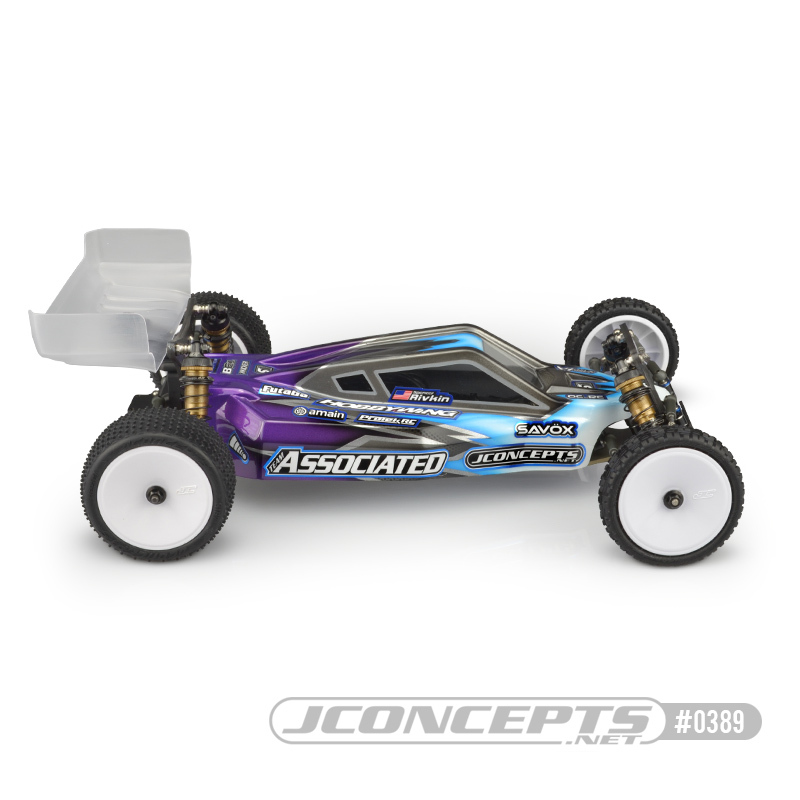 JConcepts has a rich history in the 2wd buggy class and a passion for the racing performance at the highest level. Throughout the years, the body development has evolved to include an array of features to produce results on a wide range of surfaces. 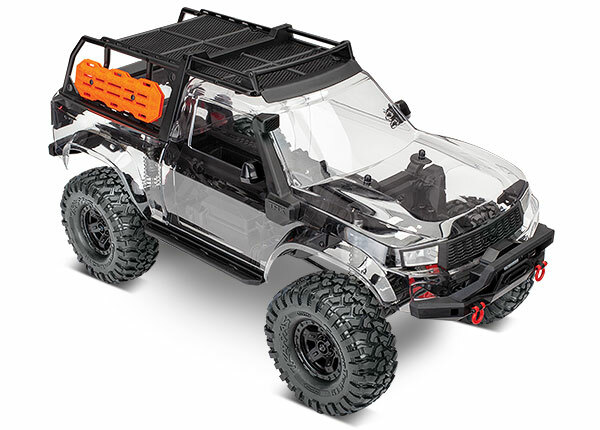 The P2K is the latest body to come from the team produced for the latest generation of 2wd buggies. An evolution of the P2 body, the �K� is more sleek by removing rear down-force features to allow the buggy to turn on the tightest circuits and carpet and AstroTurf surfaces where traction is always plentiful. Starting in the development phase, Jason Ruona and Paul Wynn analyzed footage and technical video associated with the S2, F2 and P2 lineage and went to work. To address the latest high-grip conditions, the team put concentration on the rear section of the body allow some freedom of rotation. The entire center section of the cab on the P2K has a channel based design to flow directly over the middle of the vehicle to stabilize the at-speed handling. The front of the cab, important to performance, includes the P2 position with heavily recessed front windshield. 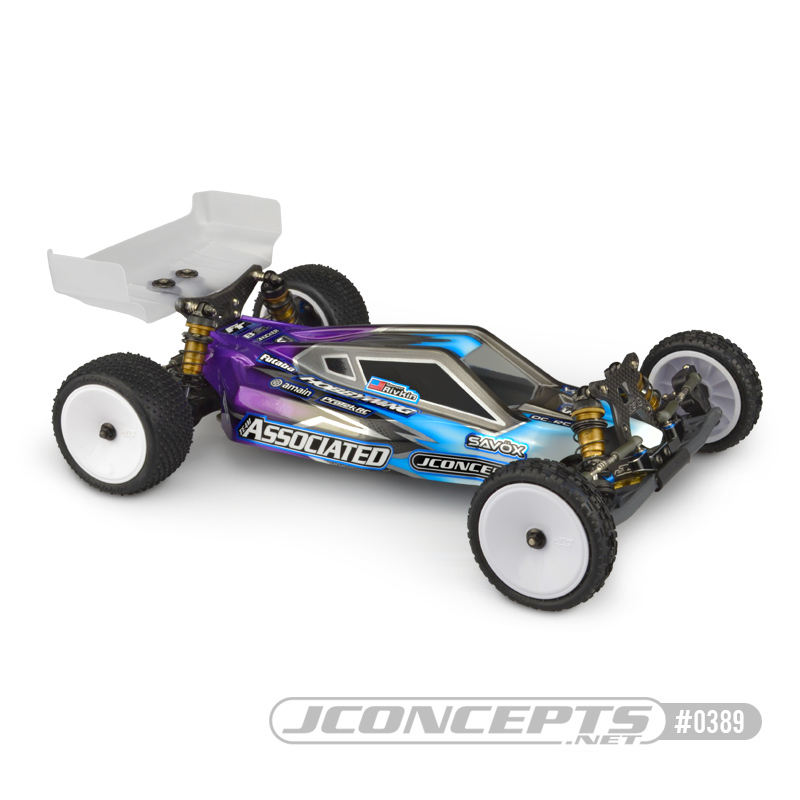 The JConcepts edge treatment remains on the side-capsule area for air-flow direction by the cab and pointing the force to the rear wing area. 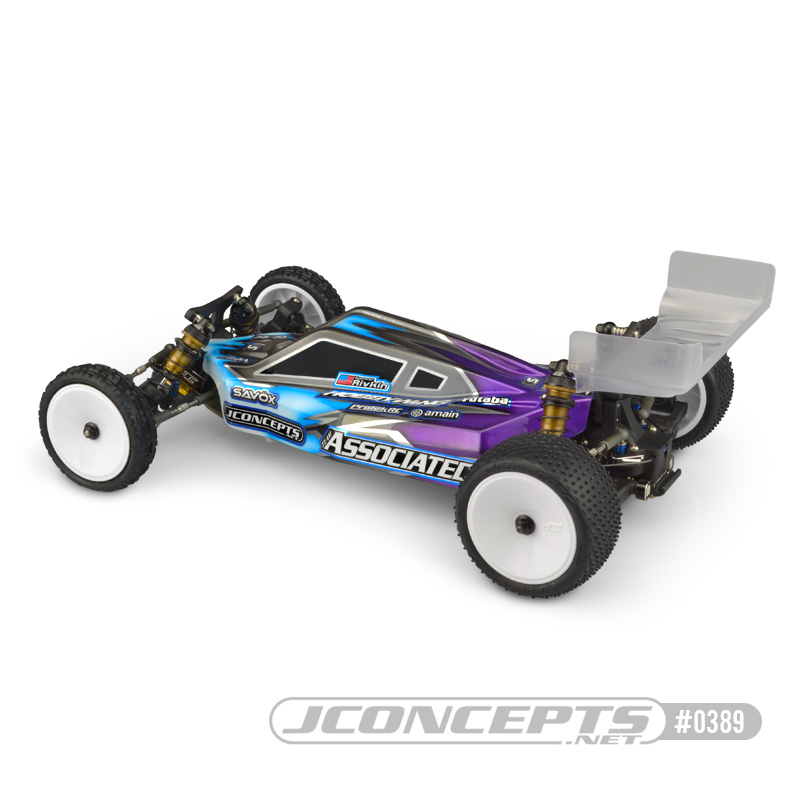 The chamfering stands out as a JConcepts design feature on every new shell, the P2K has those elements and in great positions for decals and paint allocation. 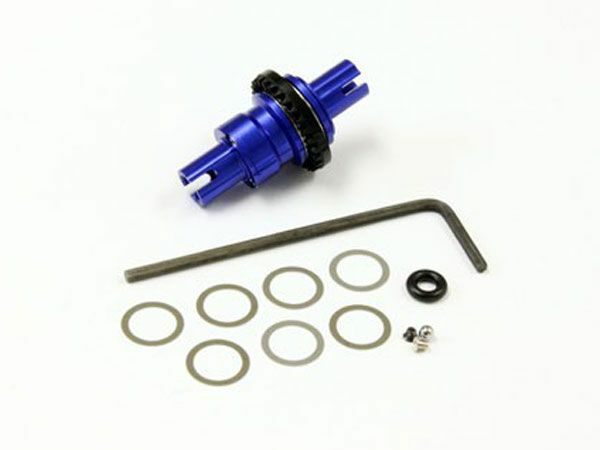 The P2K takes into account the plastic spur gear cover on the B6.1 and drops over the included kit supplied setup. Rear louvers tuck into the rear stance of the shell which can always be customer trimmed for a slight amount of heat escape. 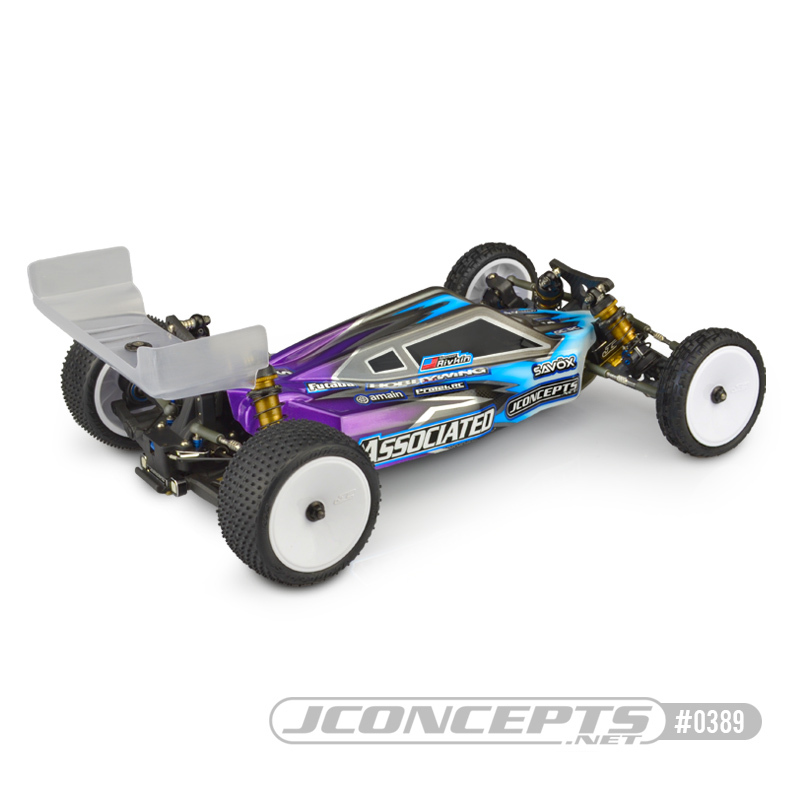 No JConcepts body is complete without a proper rear wing, the newly released C|A high-clearance rear wing is included (2pc.) 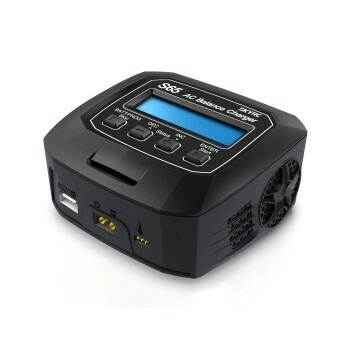 for durability, low-speed rotation and high-speed tracking. Each body shell is created at the JConcepts headquarters in Groveland, FL, and includes decal sheet, window mask and backed by JConcepts racing lineage and customer support. JConcepts is World Proven Innovation and Design. Cab forward treatment with pocket front window. Reduced rear down-force for high-grip handling and pin-point accuracy. Center channeled roof for high-speed stability. 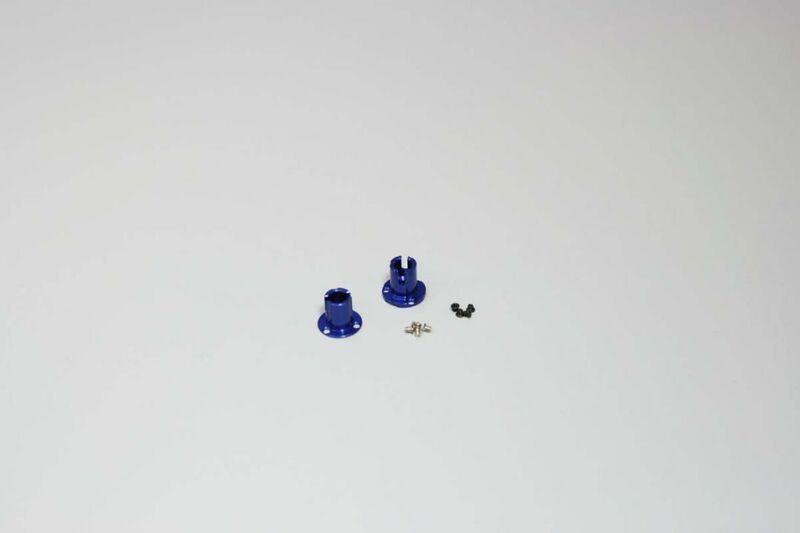 Includes C|A rear high-clearance wing - 2pc. Includes decal sheet and window mask.